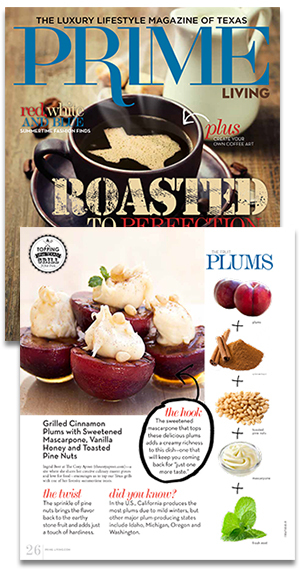 What would you say that the holidays taste like to you? Are they sweet and cool, with a minty flair? Are they spicy-sweet, or rich and creamy? Are they savory and herby, with a little hint of salty? The holidays, for me, are exquisitely all of the above. And the potential for magic during the holidays most certainly becomes apparent in all of the wonderfully different foods we love to partake in, each containing their own delicious pizzaz. The holidays wouldn’t be the same without all of the amazing cookies, the hot and cold drinks, the earthy and rich rib roasts, and the glittering and festive cakes; but those tasty little two-bite treats, those sumptuous little morsels that contain the colors of this bright and colorful time of year, can be some of the best goodies to share, and can be the perfect reflections of the specialness of this time of year. 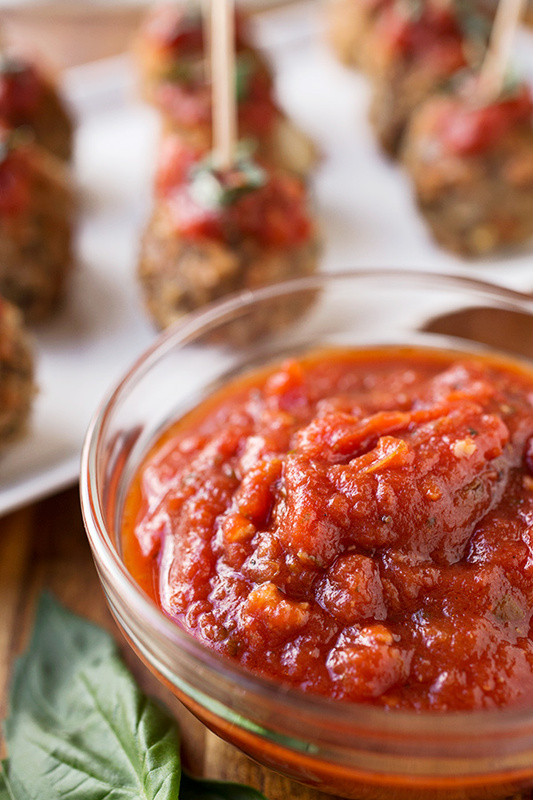 Nothing can be more simple and satisfying than a scrumptious little two-bite meatball, all juicy and tender, with just a mild hint of spice. It melts in the mouth, and is a perfect companion to a bubbly drink, or a glass of wine at a festive holiday party. So why not turn it into a delectable representation of the holiday spirit by adding some colorful and boldly flavorful additions to make it perfectly Christmas-y? 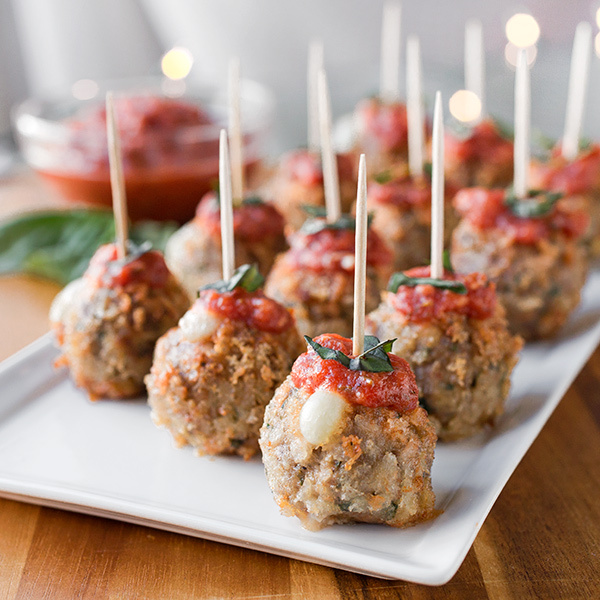 Crispy Caprese Meatballs are stuffed with fresh mozzarella cheese, and rolled in a light crust of parmesan cheese and panko, which alone makes these cuties mouthwatering and irresistible; but topping them with a dollop of mildly spicy and rich marinara, and a fresh accent of fragrant green basil makes them a perfectly elegant holiday offering when entertaining guests and family. Bet you can’t eat just one (or two, or maybe even three)! So what does your ideal holiday taste like? If you’re anything like me, you’re longing to taste every sweet, creamy, spicy, crispy, cheesy flavor that it has to offer. So may you and your loved ones have a bold, colorful, warm and love-filled holiday; and may your souls be merry and your bellies be comfortably full! -To a large bowl, add the breadcrumbs and the milk (or half & half), and combine to moisten; next, add in the ground beef, the egg, ½ cup of the parmesan, and the remainder of the ingredients up to and including the chopped parsley. -Using your hands, combine all of the ingredients until well mixed; next, scoop out about 32, ¾ ounce portions. 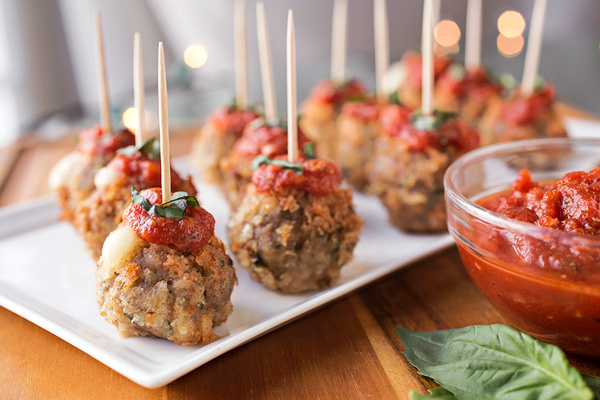 -Take each of those portions, and flatten them out on the palm of your hand (like a mini burger patty), and lay one piece of the pea-sized mozzarella in the center; then, fold the meat over the mozzarella piece, and gently roll between your palms to create the meatballs. -Chill the meatballs for about 20-30 minutes. 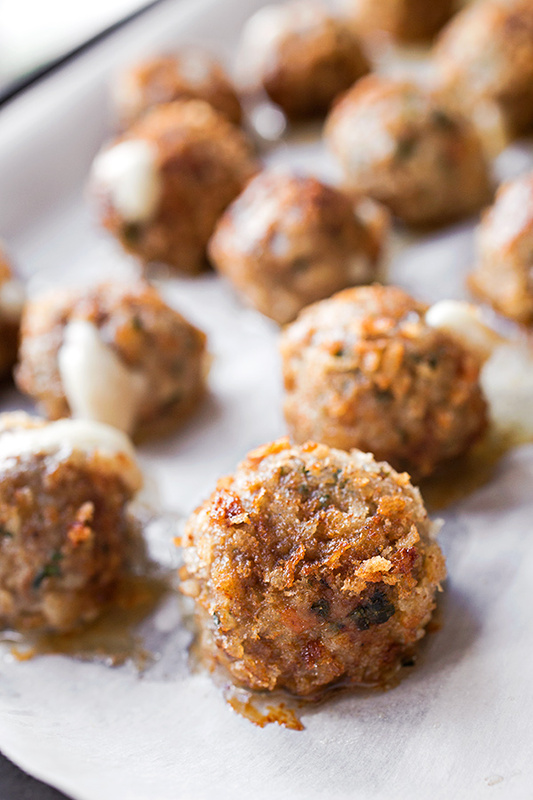 -While your meatballs chill, preheat your oven to 350°, and line a baking sheet with parchment paper. 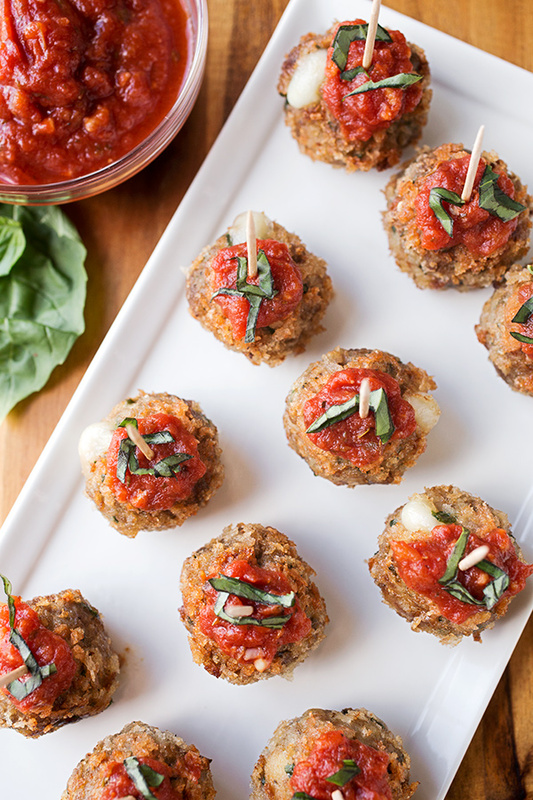 -Once the meatballs are chilled, combine the remaining ¼ cup of parmesan with the panko breadcrumbs, and roll each meatball in the mixture. -Place a large, non-stick skillet over medium-high heat, and drizzle in a little of the oil; working in batches, add some of the meatballs into the pan, and allow them to brown, turning them on all sides, for about 2-3 minutes; then, place the browned meatballs on the prepared baking sheet, and repeat the process with the rest of the meatballs. 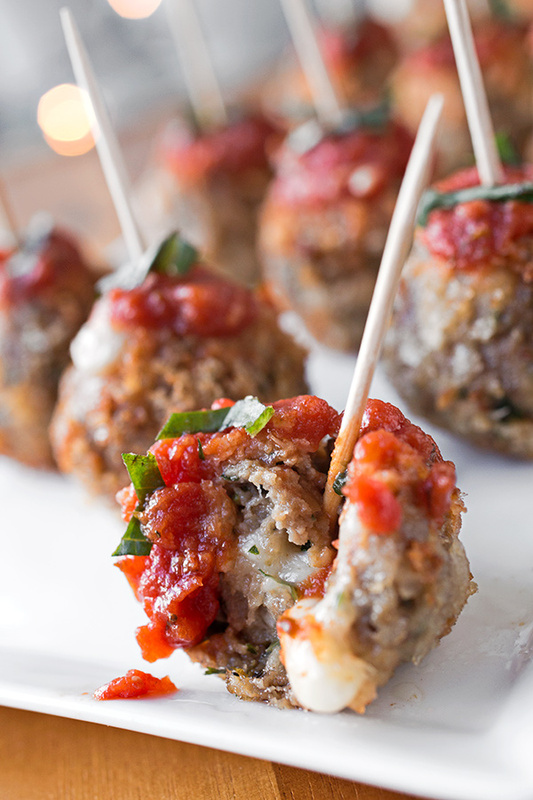 -Once all are browned and on the baking sheet, bake the meatballs for 10 minutes until gooey and cooked through. -Top with a dollop of Simple Marinara, and a sprinkle of julienned basil, and serve with toothipicks. -To a small saucepan, add all of the ingredients, and whisk to blend. -Place the saucepan over medium heat, and once the sauce begins to simmer, reduce to low and allow it to gently simmer, uncovered and undisturbed, for 10 minutes. -Serve while warm, or allow to cool and keep covered in fridge. 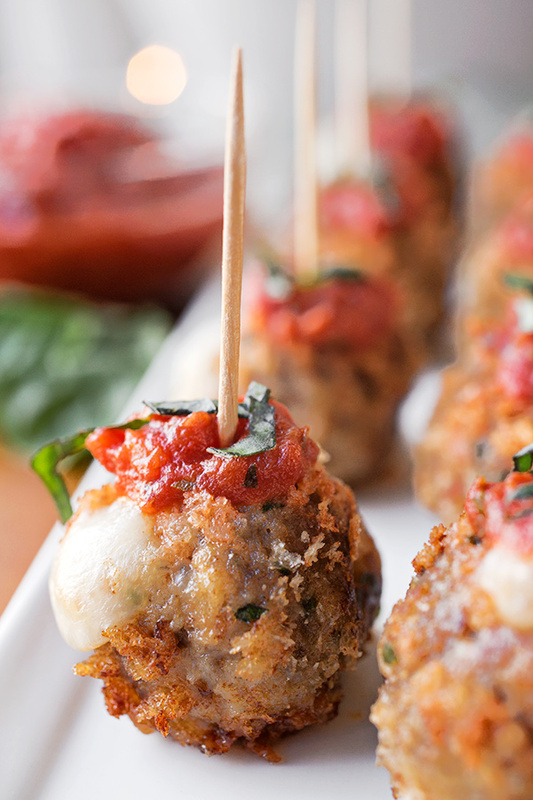 What delicious little appetizers these caprese meatballs would make! Perfect for a Christmas party I have coming up!! Lovely recipes. Thanks so much. Just made these. Best meatballs ever! I mean EVER! As my husband likes to say, “that’s a spicy meatball”. Haha! Hi June, I’m so excited to read that! 🙂 Thanks so much for sharing your experience with the recipe! Planning to make these for a party on Saturday. They look so delish. Which part of this can I do a day ahead. Don’t want to overload my Saturday. Thanks so much. 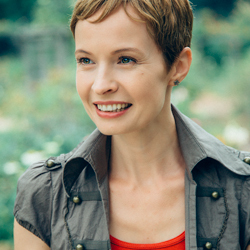 Love love your blog.